Professor Papagiannakis started his lecture with the history of global automobile dependency and the evolution of the homo automobilis. We learned about the impacts of this process onto the urban environment, including traffic congestion, loss of space and pollution. To counter these issues, a sustainable transport planning is needed. Through various case-studies from around the world, Professor Papagiannakis demonstrated examples of good practice and provided a fascinating and very informed comparison between the urban mobility conditions of Thessaloniki and Tokyo. 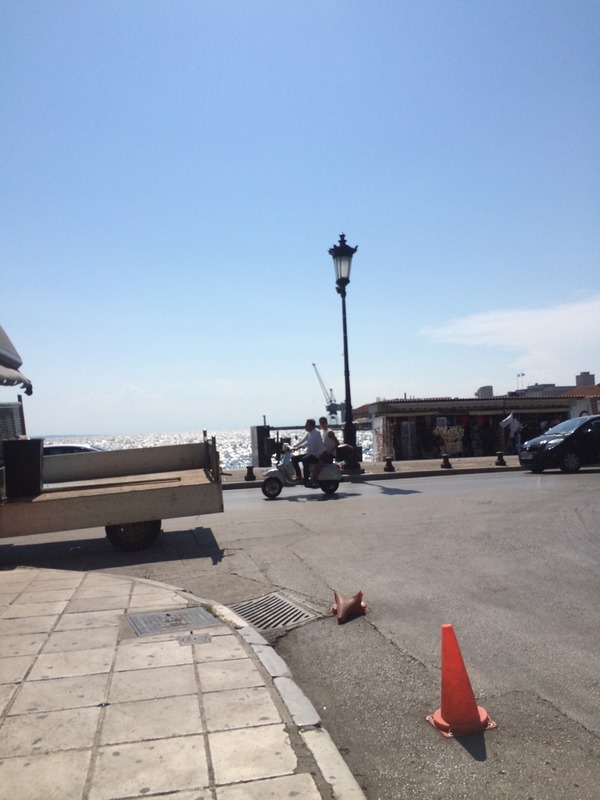 “Cultures may be different, but the way people inhabit and use space is universal,” argued Professor Papagiannakis and his lecture convinced us of the truth of his statement. Starting with a historical survey of the rise and fall or port-cities around the world, Professor Thoidou explained that the waterfront of contemporary cities has become a source of space which can contribute to the tourist development of these cities. Bilbao, Belfast, Hamburg were thus introduced as successful developments of port areas. 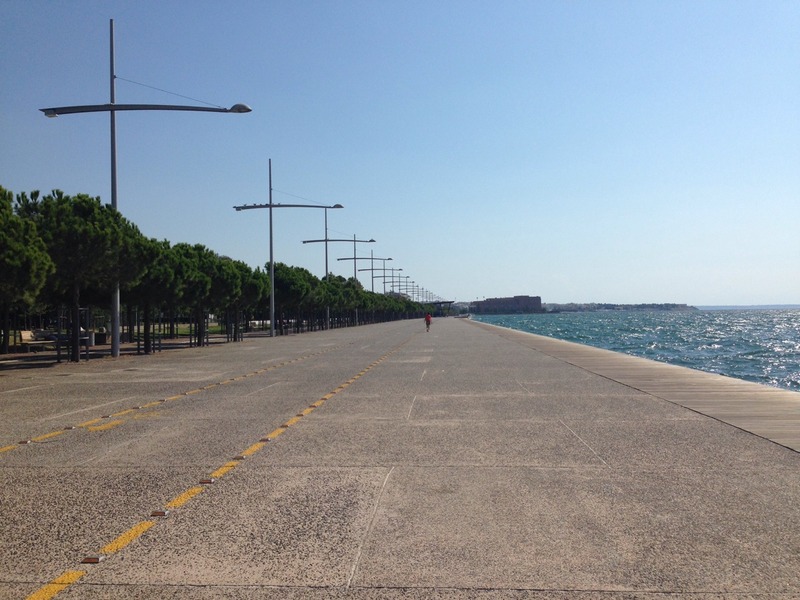 The second part of the lecture focussed on the history and development of Thessaloniki’s waterfront and explained the basic elements of smart growth planning that have been implemented so far. 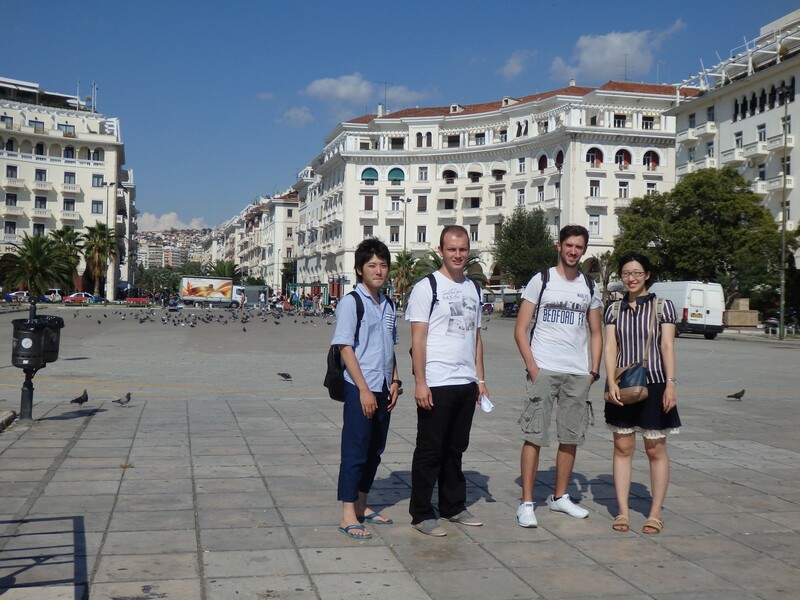 The lecture ended with a comparison with Chiba-city’s waterfront and an exercise asking students to think of new ways to further attract visitors to Thessaloniki’s waterfront. 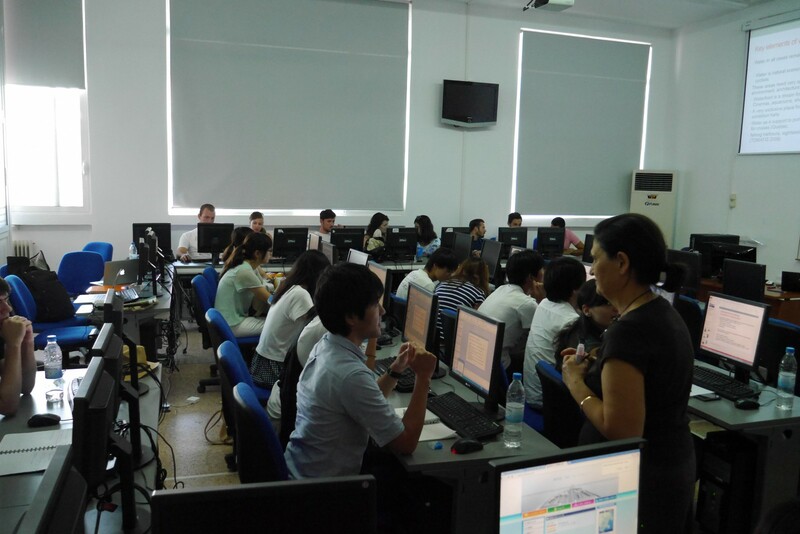 Chiba University students suggested various interesting measures, such as the holding of fireworks festival, the construction of a artificial island hosting a shopping center, and the like. 14.30-18.00: Fieldwork: How walkable is your community? 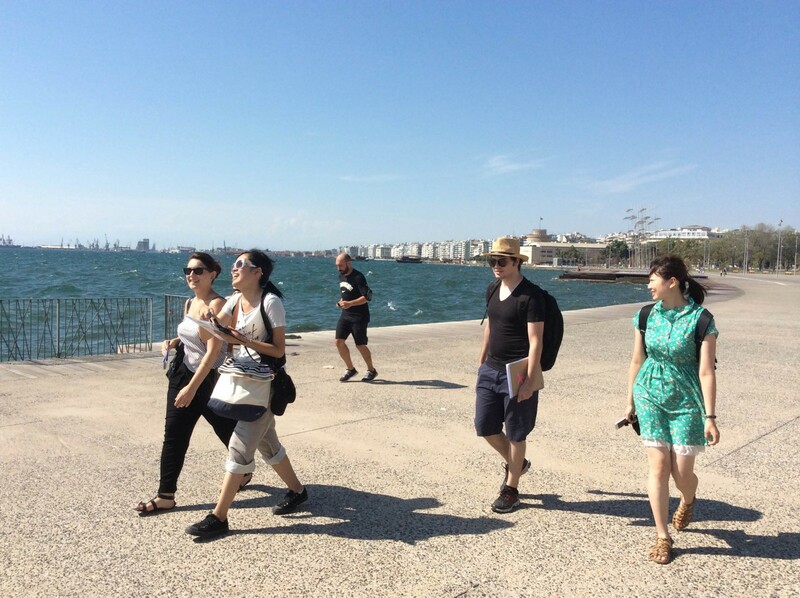 Students were divided into the same 6 mixed groups and asked to walk, observe and take photos of 6 areas of the city, along or near the waterfront. They were asked to fill up a questionnaire about their experience and evaluate the mobility conditions of these areas and the facilities and infrastructure of the waterfront area.